Great Commercial Property location. A large corner lot with high traffic count. Surrounded by hotels and restaurants this would make a great sight for most any business. 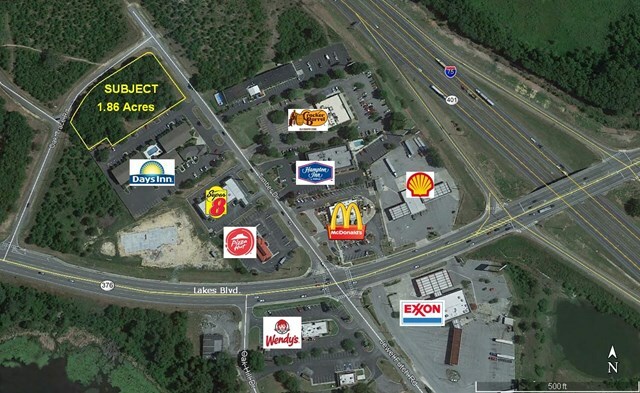 Anchored by Cracker Barrell, Days Inn, McDonalds, and Pizza Hut, traffic is sure to be consistent. The first major Exit on North I-75 in Georgia ensures a steady flow of people to the area and an increase in traffic during travelling seasons. Call Austin Plyler at 229-560-9275 for more information. Want to learn more about 4921 Timber Drive ? I would like to learn more about 4921 Timber Drive .